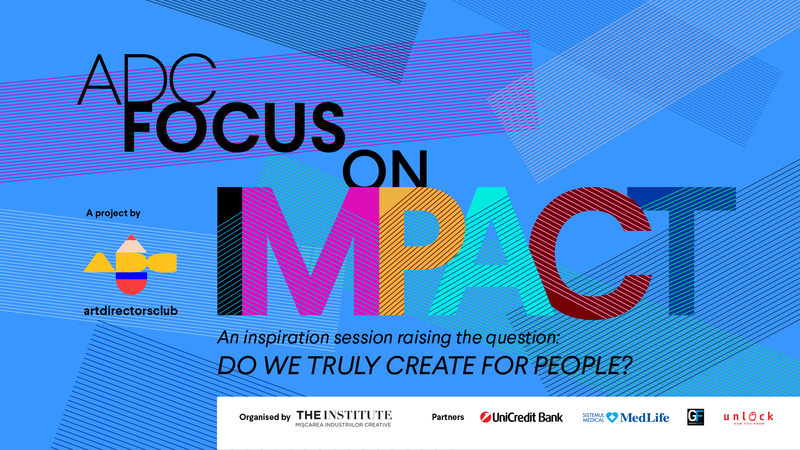 ADC România presents on 14th of December ADC Focus on Impact - an inspiration session raising the question: “Do we truly create for people?”. This first edition's guests are: Anu Niemonen | Senior Creative | hasan & partners, Kris Hoet | FCB Global Head of Innovation & Happiness Co-Founder & Chief Innovation Officer and Conn Bertish | CEO | Cancer Dojo, ex-creative director World Design Capital Cape Town, Saatchi & Saatchi SA and JWT SA. ADC Focus on Impact will take place at ARCUB Gabroveni, Lipscani 84-90, starting 5 PM. The event presents 4 talks: “Relevance and Authenticity in Romanian Advertising”, “An honest story of a purpose campaign where everything went wrong”, “Happiness is the Ultimate Rebellion” and “Creative Happy people are harder to kill”. After the conference there will be an after party starting 9.30 PM at Institute, The Café. 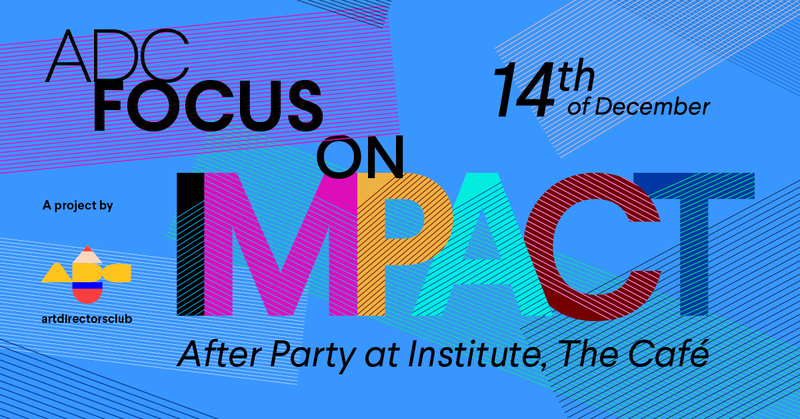 The participation for the ADC Focus on Impact conference is free, but requires a reservation, which can be made here. There is a limited number of seats. The session will begin with ADC*RO and the panel facilitator will be Adina Vlad - Managing Partner at Unlock Market Research. ADC*RO will present the results of the study “Relevance and Authenticity in Romanian Advertising” accomplished together with Unlock - research agency - about the real impact advertising has on its consumers. The panel's guests are: Adrian Docea | Founder Heraldist & Wondermarks, Alecsandra Roman | Head of Planning Jazz Communication, Costin Bogdan | Group Creative Director McCann Worldgroup România, Mihai Coliban | Creative Director | Innovation Curator | Visual Thinker | Architect | Not a Bot, Romulus Petcan | Group Creative Director Publicis Romania, Serban Alexandrescu | Creative Director Headvertising. Anu Niemonen, Senior Creative at hasan & partners, is one of the most awarded creatives in Finland. Her passion is to create integrated campaigns and she strives for innovative use of media and stretching the conventional setup. Her work has been awarded in all the major award shows around the world, including Cannes Lions, Clio Awards, Eurobest and Epica. And she is also a frequent jury member and her jury duties include Cannes Lions, 3-times Clio Awards, ADC Awards and multiple seat in national award juries in Finland. Now Anu is taking Executive MBA at Berlin School of Creative Leadership. For ADC Focus on Impact Anu will talk about the first and last time the whole story of a campaign that first won the ADCE Creative Distinctive Award but was eventually pulled out. Kris Hoet is Co-Founder and Chief Innovation Officer of Happiness and Global Head of Innovation at FCB, leading initiatives worldwide. With experience on both the client and agency sides of the table, he brings a unique perspective and understanding of the crossover of creativity and technology. Kris is a renowned speaker at international marketing conferences and has served on several award juries, including Sharks and Cannes Lions. He was an advocate of the TED Ads Worth Spreading program as well as a curator of All Gunns Blazing, a selection of all the most innovative worldwide creative work in the famed Gunn Report. He also curated the ADCE Festival twice and mentored at the Pi School Creative Incubator program across Europe. Kris’s WARPED Newsletter, “a weekly dose of ideas, data, trends and other awesomeness,” has obtained many readers in the industry globally over the last three years. Dubbed an agent provocateur by South African media, Conn Bertish is one of the country’s top creative thinkers. He is an ex-creative director of the World Design Capital Cape Town, Saatchi & Saatchi SA and JWT SA, he is a multiple internationally awarded creative director, conceptual artist, cancer survivor, big wave surfer and founder of the recently launched Cancer Dojo – a mobile app that merges creativity, technology and medicine to help cancer patients become more resilient – and harder to kill. Conn is a keynote speaker on the intersection of creativity, technology and resilience – for humans and brands. Conn's talk on creativity redefines the power that creativity has to shift behaviour, both for the creator and their audience. His talk is powered by MedLife.